Doors to one of the most recently restored Arts Centre te Matatiki Toi Ora heritage buildings are being opened to the public on Sunday 17 March 2019. 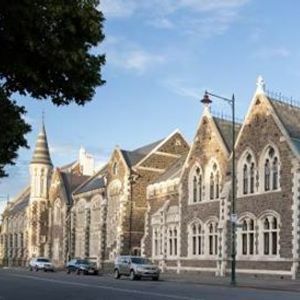 The School of Art (1878) category one heritage building was badly damaged - as were most of the Arts Centre's heritage Gothic Revival buildings - in the February 2011 earthquake, but has been meticulously restored and strengthened by a dedicated and professional team. The restored building features spaces available to hire for meetings, classes, workshops and more, as well as a hospitality offering and leasable office space. The building was originally home to Christchurch Girls’ High School, which moved to larger premises in Cramner Square in 1881. At the time Canterbury College (now the University of Canterbury) occupied much of the rest of the modern-day Arts Centre site, so moved its School of Art into the space. Be one of the first to take a look inside and check out the restored building when it reopens to the public on 17 March from 1.00pm to 4.00pm. The open day entrance will be on the corner of Rolleston Avenue and Hereford Street, opposite the YMCA.